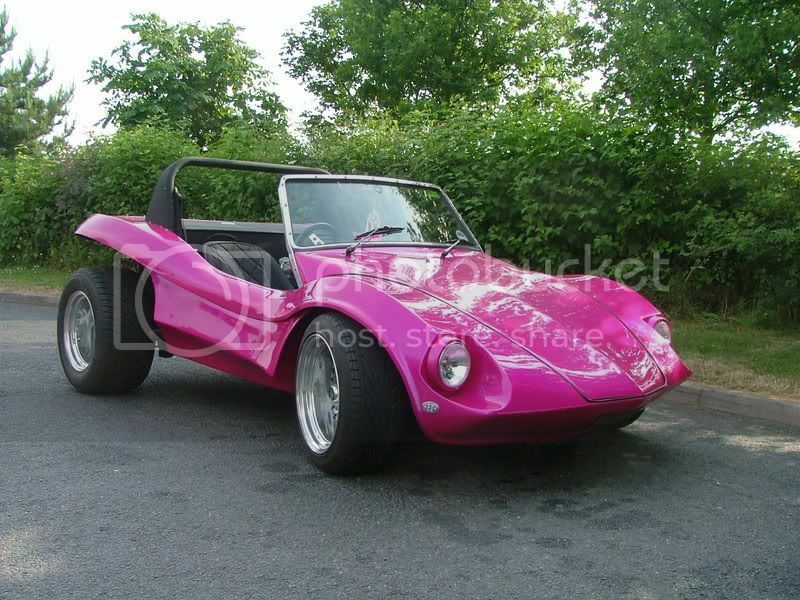 I own a Renegade Beach Buggy which was restored last year by my husband in just 16 weeks. It has a Type 3 - 1641cc engine with twin 40 carbs. I have 1 1/2 Stainless steel tube pipework with Viper motorbike exhausts made specially for it and it sounds loud. When arranging for the colour everybody told me not to do it ........ but I did. It is House of Kolors - "Hot Pink"